Sequoia National Park is one of the most incredible natural landscapes in North America. Set within California and adjacent to Kings Canyon National Park, Sequoia National Park is an adventure traveler’s dream come true. Sequoia National Park is famed for being home to the largest tree in the world – the General Sherman Tree. There are hundreds of thousands of sequoia trees within Sequoia National Park, each seemingly more photogenic than the last. Many travelers choose to camp in and around Sequoia National Park. 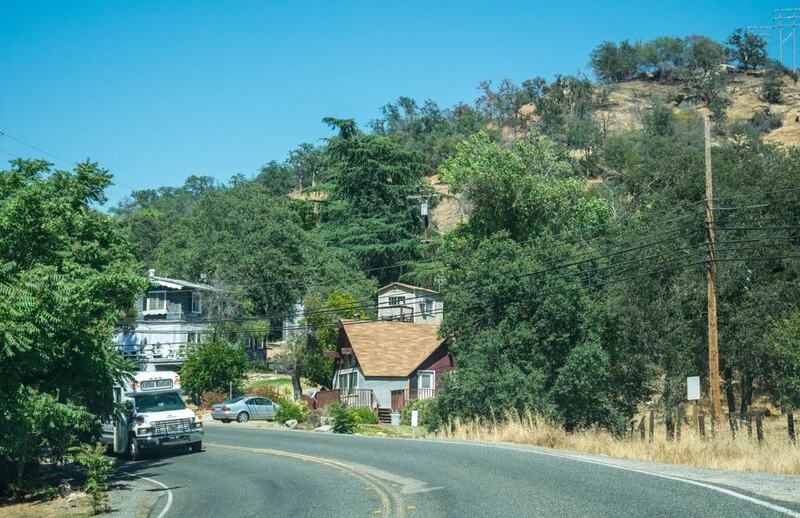 Others choose to road trip through this verdant area of California in an RV. There are countless camping sites and RV parks around Sequoia National Park, many of them are very affordable. Some travelers prefer their home comforts after a long stay hiking in Sequoia National Park and who can blame them. Thankfully, Sequoia National Park is surrounded by small townships, all of which offer a hotel or two to choose from. A visit to Sequoia National Park is the perfect opportunity to explore the rugged natural landscapes California has to offer. Sequoia National Park feeds into Sequoia National Forest to the south, and up beyond Kings Canyon National Park lies Yosemite National Park and Sierra National Forest. It’s tree-hugging heaven. Let’s explore where to stay in Sequoia National Park. The unincorporated community of Three Rivers is an ideal place to stay in Sequoia National Park for travelers who want to maximize their time within the park during their trip. Although small, Three Rivers certainly has some character. Seeing visitors from all around the world pop by every single day of the year, the locals have a few stories to share. As the gateway to both Sequoia National Park and Kings Canyon National Park, there is an information center in Three Rivers run by kind locals. There are a few knick-knacks and gifts to be bought too. The Giant Forest Museum is under an hour’s drive from Three Rivers and the journey is really scenic. The Giant Forest Museum hosts exhibits on the ecology of the Sequoia National Park and the history of the area too. It is not to be missed, either on the way in or out of the park. Lazy J Ranch Motel – Lazy J Ranch Motel is a very good hotel in Three Rivers. There is an outdoor swimming pool complete with sun loungers and sunbathing terrace. The whole property is pet-friendly and there is free parking too. Lazy J Ranch Motel offers amazing mountain views from most rooms. Comfort Inn & Suites Sequoia King Canyon – Three Rivers – Comfort Inn & Suites Sequoia King Canyon – Three Rivers is a good hotel offering great value for money. For unfussy travelers seeking a place to rest their head and refresh, this Comfort Inn is ideal. There is a coffee machine in every room and free access to WiFi. The River Inn – The River Inn is a good option in Three Rivers. There is a homely and welcoming feel to The River Inn that makes travelers instantly feel at ease. There is a microwave in every room and a coffee machine. There is free parking on site. The rural city of Visalia is a great place to use as a base for exploring Sequoia National Park. There is a real community spirit to Visalia and a great amount of choice when it comes to accommodation. In true rural style, there is an unfussiness to Visalia that outdoorsy travelers love. There are plenty of parks in Visalia to relax and unwind in – Blain Park is a popular spot and Visalia Houk Park even has a play area for children. Visalia is an ideal place to stay in Sequoia National Park for families. Not only are there dozens of playgrounds and a young community, but the focal point for tourists is the ImagineU Interactive Children’s Museum. The colorful and interactive museum is a fantastic educational day out for all the family. Covering themes of science, the environment, and even the arts, there is a lot of fun to be had at the ImagineU Interactive Children’s Museum. It is open from 10 am daily. Visalia Marriott at the Convention Center – Visalia Marriott at the Convention Center is a highly recommended hotel in Visalia. Sitting right next to the Convention Center, the location could not be better. All rooms offer air conditioning and an MP3 docking station. There is a flat-screen TV with cable channels in every room too. 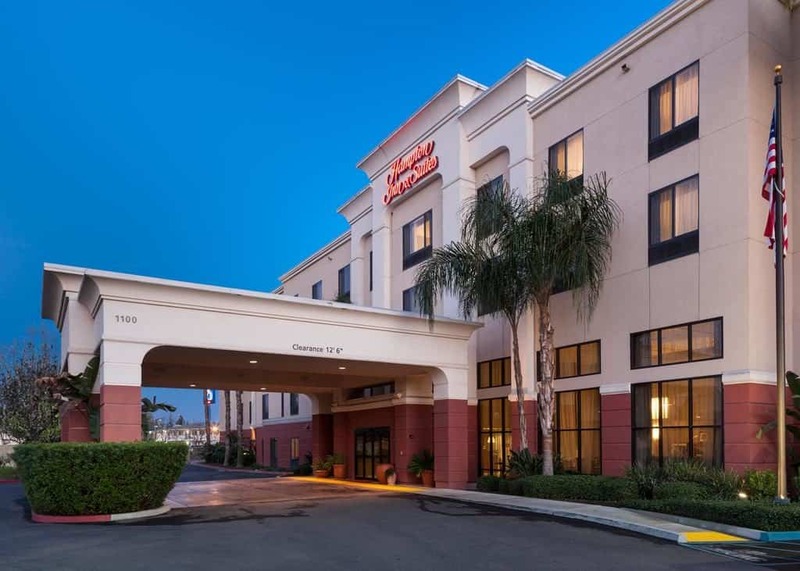 Fairfield Inn by Marriott Visalia Sequoia – Fairfield Inn by Marriott Visalia Sequoia is a very good hotel in the heart of Visalia. The rooms are modern and bright and each offers a private ensuite bathroom. There is a coffee maker in every room and a flat-screen TV. There is free parking on site. Holiday Inn Express – Visalia – Holiday Inn Express is a fabulous hotel in Visalia. The rooms are colorful and bright with a stylish design. The beds are incredibly comfortable and they have real duvets. There is a great breakfast included in the room rate. There are laundry facilities in-house too. Guests are welcome to use the swimming pool. 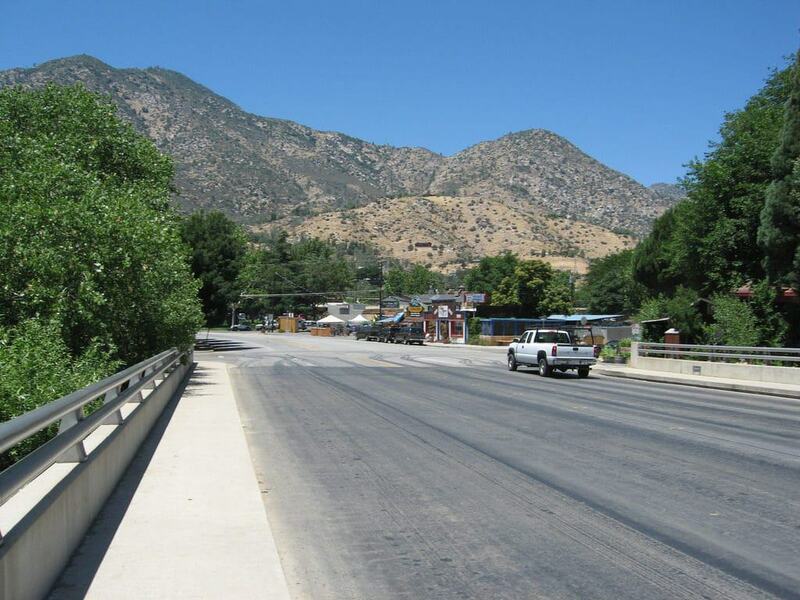 Nestled away along the Kern River in the Southern Sierra Nevada is the tiny town of Kernville. For travelers who want to get off the beaten track, reconnect with nature and get to grips with rural California, Kernville is just the place. The Kern River feeds into Isabella Lake, which is a wonderful spot for a late afternoon stroll, or even a dip of the toes. There is a definite small-town vibe to Kernville that is really rather endearing. The Kern River Brewing Co. is the hub of the community and where travelers can find locals hanging out of an evening. Their homebrew beer is well worth sampling. Kernville actually sits within Sequoia National Forest and is about as close as you can stay to the woodlands without pitching up a tent. Kernville may seem like the back of beyond but there are treasures to be found and memories to be made for sure. The iconic General Sherman Tree is easily accessible within a day trip from Kernville. Whispering Pines Lodge Bed and Breakfast – Whispering Pines Lodge Bed and Breakfast is a good hotel in Kernville. Homely and comfortable, guests always have an enjoyable stay. Some rooms offer views of the creek. There are complimentary toiletries in every ensuite bathroom and all rooms have access to WiFi. Guests are welcome to use the BBQ terrace. Kern Riverfront Lodge – Kern Riverfront Lodge is a good option in Kernville. There is a BBQ terrace and a pool area for guests to use as they please. Some rooms offer views of the swimming pool, others of the gardens. Parking is available on site and is free for paying guests of Kern Riverfront Lodge. The Kern Lodge – The Kern Lodge is a top pick in Kernville. The hotel is overlooked by the mountains and guests can enjoy the view while sunbathing by the outdoor swimming pool. There is a BBQ area for guests to use too. There is free WiFi throughout the hotel and family rooms are available. Fresno is a modern city in San Joaquin Valley. Created in the early 1900’s, Fresno is a relatively new city. This means that Fresno caters to the need of the modern traveler with ease. 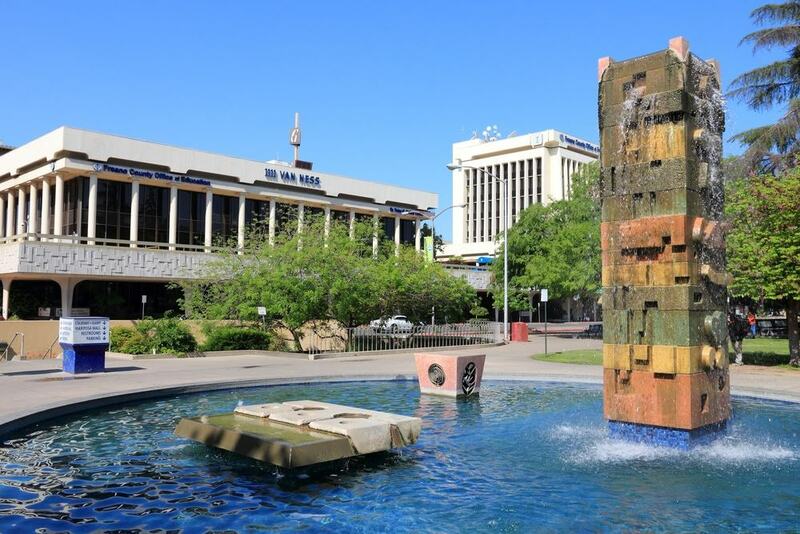 Perfect for families or for couples, Fresno has a lot to explore. For young families, Island Waterpark is the perfect place to spend a summer’s day. With water slides, swimming pools and water rides galore, there are plenty of memories to be made at Island Waterpark. Closer to the center of Fresno, families can explore Storyland & Playland. The amusement center features a Mother-Goose theme, with slides, rides and climbing frames. Despite being a young city, there are historical elements to Fresno that are interesting to learn about. At the Meux Home Museum, travelers can enjoy a guided tour of the sophisticated 19th Century mansion and marvel at the period furniture and decor. The Fresno Art Museum should be on the must-visit list too. Hilton Garden Inn Clovis – Hilton Garden Inn Clovis is a sleek and stylish hotel on West Shaw Avenue. There is an outdoor swimming pool for guests to use as they please. There are rooms and spacious suites available. Suites include a living room space and kitchenette. There is a good breakfast included in the room rate. Residence Inn Fresno – Residence Inn Fresno is a welcoming hotel on North Diana Avenue. A hot breakfast is served every day. Alternatively, guests can cook for themselves in their fully-equipped kitchen in their room. There is free WiFi throughout the hotel and free parking too. The hotel is family friendly. Fairfield Inn & Suites Fresno Clovis – Fairfield Inn & Suites Fresno Clovis is a top pick in Fresno. There is an express check-in and check-out facility. Guests can benefit from free onsite parking and free WiFi throughout the hotel. Each room has a coffee maker and a mini refrigerator. Breakfast is included in most room rates. Sitting just south of Visalia is the city of Tulare. Home to around 60,000 people, there is a small-town feel to Tulare. Close enough to the entrance to Sequoia National Park and close to city comforts like supermarkets and big chain hotels, Tulare offers the best of both worlds. For road trippers keen to visit a more off the beaten track city in California, Tulare is the perfect place to stay. There are no cheesy or novelty tourist attractions and only a few hotels. In this sense, Tulare offers travelers the chance to experience rural California at its most authentic. Visalia’s Adventure Park is just a 15-minute drive from Tulare. This makes it an ideal destination for families too. There is plenty to see, do and explore in Tulare on the vacation days spent away from the Sequoia National Park. The famous General Sherman Tree of Sequoia National Park is just under a two-hour drive away. 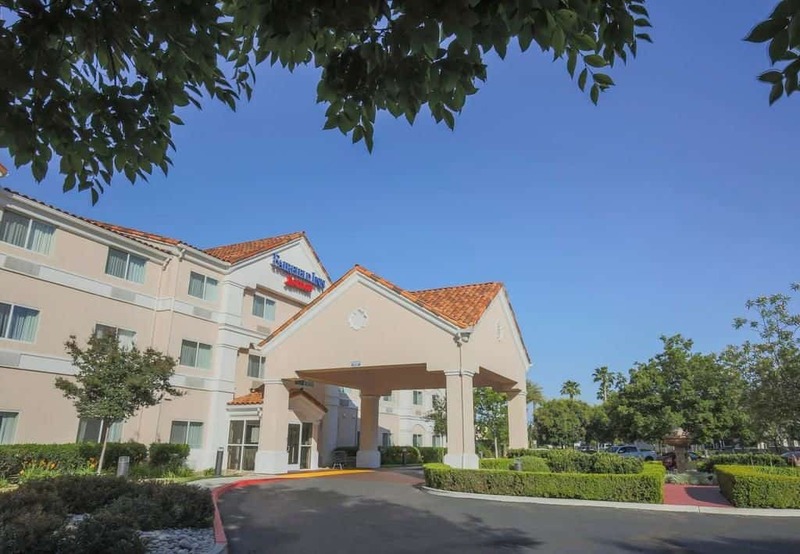 Hampton Inn & Suites Tulare – Hampton Inn & Suites Tulare is a top pick in Tulare. Popular with couples, families, and solo travelers, Hampton Inn & Suites is a great all-rounder. There is an outdoor swimming pool and sun deck that is free to use. All rooms have WiFi access and an ensuite bathroom. La Quinta & Suites Tulare – La Quinta & Suites Tulare is a very good hotel in Tulare. The rooms are spacious and all have modern wooden furnishings. Each room offers a private ensuite bathroom with a walk in shower unit. Breakfast is included in most room rates and served in continental style. Charter Inn and Suites – Charter Inn and Suites is a popular hotel in Tulare that ticks all the right boxes. The rooms are modern and bright. There is an outdoor swimming pool that guests can use at their leisure. The staff are welcoming and knowledgeable about the local area. A hot breakfast is included in the room rate.